Thousands of people die each year due to weight related problems, it is a serious issue worldwide. Being obese increases your chances of suffering from long-term health problems such as diabetes, heart disease, high blood pressure and osteoarthritis. Prescription weight loss pills are an effective form of weight loss treatment that can help prevent such conditions from developing, so you can live a longer and healthier life. If you need extra help to achieve your weight loss goals, prescription medication may be the most effective option for you. But remember that it is not a quick fix and the success of your weight loss treatment also depends on your lifestyle and level of commitment. 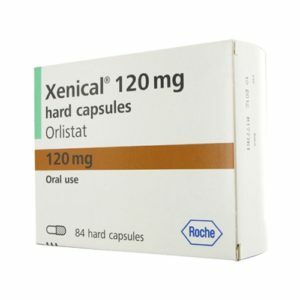 Xenical pills are a prescription weight loss medication that is clinically proven to be very effective and can be ordered online after completing a short medical consultation. When should I consider taking weight loss treatment? Calculate your Body Mass Index (BMI) first to determine whether you are at a healthy weight. If your BMI is between 25 and 30 you are considered overweight and may not need prescription medication but rather over-the-counter weight loss treatments. If your BMI is above 30 then you are clinically considered to be obese and may qualify for prescription weight loss medication. If you are unsure what your BMI is then you can measure it during your online consultation process. The gradual way to overcome obesity is through healthy eating and increasing physical activity. Walking is one of the best forms of exercise you can do and cutting out foods high in sugar are important steps towards achieving weight loss. The most successful way to lose weight is to combine an obesity treatment with effective lifestyle changes. There are further weight loss solutions, such as gastric balloon surgery or gastric bypass but these have many potential complications and are intrusive. They should only be used as a last resort after you have tried prescription weight loss tablets as an obesity treatment. What type of obesity treatment should I choose? There are a number of over-the-counter weight loss tablets and a number of prescription only obesity pills readily available. Although obesity treatment should be recommended by a doctor. The most commonly used prescription weight loss pills are Xenical and Reductil. 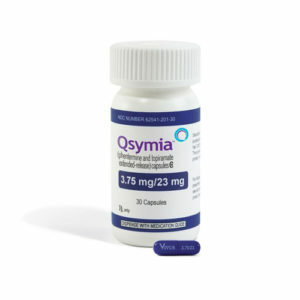 There is a new prescription medication called Qsymia which has just been approved by the FDA in the USA. It’s the first weight loss medication to have been approved in the last 13 years. The product is currently only available in the US and is expected to be available online in the UK and Europe early 2013. Reductil acts as an appetite suppressant which works by increasing your feelings of fullness by sending signals to your brain telling it that your appetite has been satisfied. Xenical is said to be the most effective as it promotes weight loss by preventing the digestion and absorption of fat in foods. How do I purchase weight loss products online? You must complete a short consultation online with a doctor when you buy prescription weight loss medication. This is a confidential process that replaces the face-to-face appointment that you would usually undergo to receive a prescription. If the doctor approves your medical consultation the medication is sent from an EU pharmacy and will arrive the very next day.